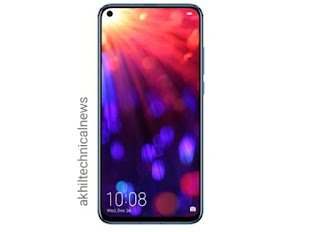 Honor V20 (View20) has finally launched in China. 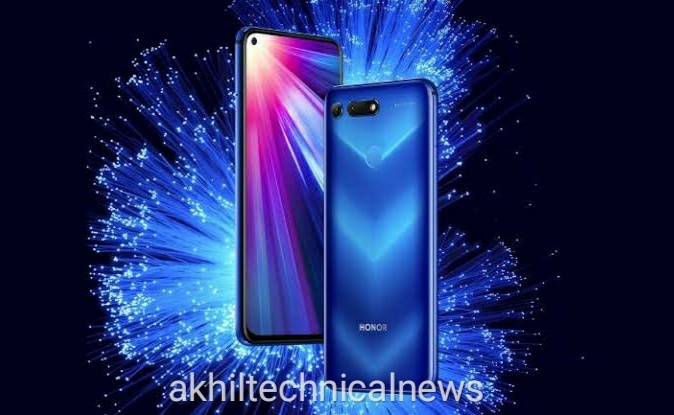 Its announcement as Honor V20 only happens in China. The global launch of this phone will be held in an event in Paris and France on January 22. The punch-hole selfie camera design has been given in this smartphone. Honor V20 has a 48-megapixel rear camera and a 25-megapixel selfie camera. It will be the company's first flagship smartphone in 2019. The Honor V20 has a HiSilicon Kirin 980 SoC process smartphones one has a 4,000 mAh battery. Honor V20 has a 6.4 inch Full HD + TFT display. There are 16.7 million colors in it. Dual SIM Supper runs on Honor V20 Android 9.0 Pie. The screen-to-body ratio of this phone is 91.82 percent. Honor V20 is in 6GB and 8GB options. The phone has 128GB and 256GB storage options. This phone does not support a micolours card to increase storage. If talking about the camera of this smartphone, then it slips the motion-motion video recording. In addition, it also has autofocus, AI HDR and LED flash touchscreen. Honor V20 comes with Link Turbo Technology, this technology lets the phone automatically switch between data and Wi-Fi. This smartphone has been launched in Charm Blue, Red and Midnight Black Color Option. The initial price of Honor V20 is 2,999 yuan (about 30,400 rupees). This price is of variants with 6GB of RAM and 128GB storage. At the same time, the variants of 8GB RAM and 128GB variants have a price of 3,499 yuan (about 35,500 rupees). The pre-order of this smartphone has already begun and its shipping will begin on December 28. Honor has also launched the Moschino Edition of this smartphone. The price of 8GB RAM and 256GB of storage is worth 3,999 yuan (around Rs 40,600). This smartphone version is only coming in color option and its first cell will be HonourDecember 28.